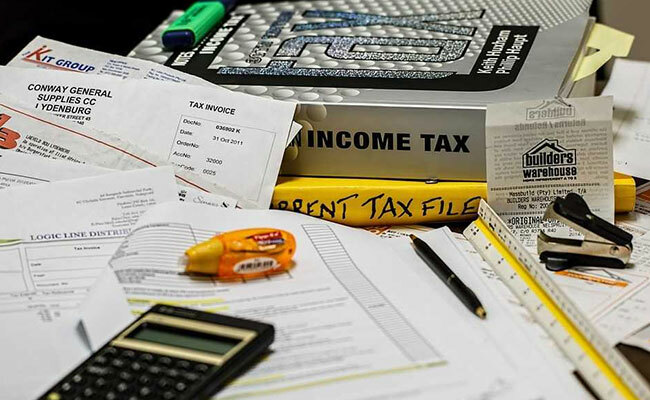 Section 80C of the Income Tax Act offers one of the most common deductions available to salaried individuals, say experts. With the income tax deadline of August 31 approaching, it is important for assessees to have fair knowledge of income tax laws. Having a broad-based idea of various income tax deductions helps an individual roughly plan his or her annual tax outgo. Section 80C of the Income Tax Act offers one of the most common deductions available to salaried individuals, say experts. Section 80C of the Income Tax Act provides for income tax deductions up to Rs 1.5 lakh in a financial year. This benefit can be availed by investments in a variety of tax-planning instruments, including life insurance premium, EPF (Employees' Provident Fund) contribution, five-year fixed deposit and investment in ULIP or unit-linked insurance plan. Limited knowledge of Section 80C deductions - reduction in taxable income based on provisions allowed in tax laws - often keeps the assessee from making most of the tax benefit allowed. "Even if a taxpayer could not make investment in allowed avenues in his own name, he can claim the deduction for the investments made in the name of his family members. These deductions are allowed in following cases," said Naveen Wadhwa, DGM, Taxmann, while speaking on provisions allowed under Section 80C. An assessee can claim deduction for the contribution made by him or her in the name of spouse or children in respect of life insurance premium, PPF (Public Provident Fund) contribution, ULIP investment, deferred annuity investment and annuity plan (LIC New Jeevan Dhara, New Jeevan Akshay etc.) investment. "Thorough Knowledge of Section 80C is important for individuals irrespective of their tax bracket, lack of knowledge and clarity around certain sections can lead to taxpayers losing money in the form of taxes," says Rahul Agarwal, Director, Wealth Discovery. Investment/contribution for spouse/children: The assessee can claim income tax deduction in the form of life insurance premium for a policy for self, spouse and child. Deduction can be claimed against contribution towards life insurance premium, PPF, EPF, ULIP, annuity plan, savings scheme or pension fund. Contribution in name of girl child: Contribution made by an individual to a Sukanya Samriddhi account in the name of either of his or her girl children qualifies for deduction. Tuition fees: Payments towards tuition fees made by an individual to a university, college, school or other educational institution located in the country for full-time education of any two of children can be claimed for tax deduction. This excluded development fees and donation. Payment for purchase/construction of residential house property: Stamp duty and registration fee paid at the time of purchase of house property as well as repayment of home loan are eligible for income tax deduction under Section 80C. Deduction for repayment of principal of a home loan is allowed only after the construction of the house is complete and the completion certificate has been awarded, say experts. "No deduction is allowed under this section (80C) for repayment of principal for those years during which the property was under construction. Therefore, if someone has used this deduction on their I-T return without checking the above consideration, the chances are high that they will land into tax troubles at the hands of the Assessment Officer," explains Mr Agarwal. Purchase of mutual fund units: Subscription to any units of a mutual fund under schemes such as Equity-Linked Saving Scheme (ELSS) is eligible for income tax deduction under certain conditions. Fixed deposit for a term of five years and above: Term deposits - also known as fixed deposits - for a maturity period of a minimum five years in a commercial bank or post office is eligible for income tax benefit.